Israeli law applies international norms to Actual Carriers, both sea and air, including limited liability clauses. Thus, the Israeli Marine Goods Transportation Ordinance applies the Hague Regulations to bills of lading issued by marine carriers which include limited liability clauses. Limited liability clauses also apply to air carriers, by virtue of the convention for the unification of certain rules concerning international air transportation (Warsaw/Montreal Conventions), which were adopted in Israeli Air Transportation Law. While there has been a worldwide change in attitude to international freight forwarders acting as contractual carriers, so that their legal duties and rights are equalized in certain circumstances to those of Actual Carriers, the liability of the Israeli freight forwarders is unclear and is not resolved by the Israeli legislation. The Israeli Courts ruling in recent years in such claims against international freight forwarders do not have uniform results. An analysis of courts judgments shows that despite of conflicting results, a general principle can be determined which, when implanted, under various circumstances leads to different results: The international freight forwarders liability is derived from the contents of the undertakings it has assumed in each particular case and from the manner such have been fulfilled (or have not been fulfilled) by it. The undertakings of the international freight forwarder may be given by any means whatsoever, in writing, by the issuing of a Bill of Lading, a letter of undertaking, a quotation, and so on – or verbally. The international freight forwarder is liable for the contractual undertakings provided by it, regardless of whether such were reasonable undertakings relating to the operations of the freight forwarder with which the freight forwarder could comply, or whether they were undertakings within the framework of which, in effect, the freight forwarder assumed unreserved liability for the operations of the actual carriers. Freight forwarder acting as a common freight forwarder (and not as a contractual carrier), as coordinating between consignor and the actual carriers, does not bear liability for damage caused during the course of the transportation or for the actions and failures of the carrier, however it is liable for damages due to its own acts and omissions, on the basis of culpability. 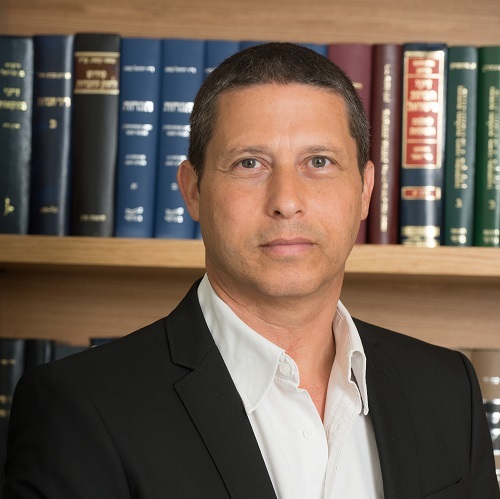 The Israeli Courts attribute considerable weight to the contractual undertakings of the international freight forwarders towards its customers. Freight forwarders who have assumed undertakings which are similar to those of the actual carrier or any other unreserved undertakings, will bear the consequences of these undertakings. In comparison, international freight forwarders who have assumed only the ordering and coordinating operations with the carriers, and who have refrained from taking upon themselves independent undertakings to transport the cargo, shall bear liability for the order and coordination alone, and if they have executed the order and coordination in accordance with reasonable standards of measure, customary in the international freight forwarding sector, no liability cannot be imposed upon them for the failure of the cargo to reach its destination at the planned time and/or in sound condition. It would appear that to some extent there is a blurring in the case law of the “traditional” distinction between an international freight forwarder acting as a common forwarder (an “Agent”) and serving as the proxy of the cargo owner for the purpose of transportation arrangements, and between an international freight forwarder acting as an independent contractor (a “Contractual Carrier/Principal”) and taking upon itself the liabilities of an actual carrier. For the purpose of examining the liability of an international freight forwarder, the Courts do not necessarily categorise the freight forwarder into one of the two categories, but rather examine each case on a case by case basis, examining the nature and substance of the contractual ties between the freight forwarder and the customer and the nature of the undertakings assumed by the freight forwarder towards its customer. Even an international freight forwarder who has not issued a Bill of Lading but who has made an undertaking towards his customer, whether orally or in writing (in an agreement, quotation, exchange of e-mails or so on), will bear liability for the assuming of such an undertaking. In several cases, the courts have founded the forwarder´s demand to equalize their status concerning its contractual liabilities vis-a-vis its clients in connection with the transport of cargo to that of the actual carriers, as a reasonable. The concern is to prevent a situation where the forwarder becomes liable for damage caused to the cargo which is in the possession of the actual carrier, although the prevention of such damage is the responsibility of the actual carrier and not the forwarder, and despite the fact that the actual carrier itself is exempt from liability for this damage (subject to the provisions of the conventions), and the forwarder has no recourse to the actual carrier. With Customers– international freight forwarder must define the nature of the undertaking with the customer and the scope of its liability whilst clearly determining the reservations to its liability. In a number of judgments the main claim made against the international freight forwarder referred to faulty communications between it and the customer: Failure to make current reports to the customer regarding an expected problem or delay in the arrival of the cargo, for expected changes to schedules or transportation routes, etc. Claims are made that, had the freight forwarder reported to the customer in real time about the problems which occurred, it would have been provided with instructions by the customer which could have minimized the damage. Claims of this sort can be prevented by being meticulous about immediately reporting to the customer regarding every exceptional event connected with the consignment of the cargo. With Sub Contractors– Care must be taken to choose worthy carriers and sub-contractors both in order to prevent claims by the customer in this matter and also in the matter of indemnification from such entities. It is preferable, if possible, to have the sub- contractor approved by the customer or to have a sub- contractor known to the customer. Insurance– One of the most common claims against international freight forwarders upon the occurrence of damage to cargoes relates to the non- procuring of proper insurance for the transportation of the cargo. In a number of claims against freight forwarders the main claim raised against them was that they were negligent in not organizing insurance for the cargo. The legal debate turns on the bone of contention whether the international freight forwarder took upon itself to arrange for the insurance of the cargo. In order to avoid such needless litigation, the freight forwarder should see to it that it is made clear to the customer, in writing, who is to handle the matter of the insurance for the cargo. Needless to say, arranging insurance for the cargo for the customer is no substitute for professional liability insurance of an international freight forwarder.